Physiotherapy Toronto – In the Comfort of Home! Professional Physiotherapy right in the comfort of your home! 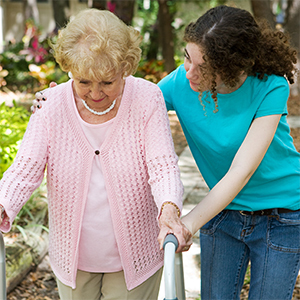 Retire-At-Home Services in Toronto, East York and North York offers in-home physiotherapy. We will come to your home, retirement home, or facility to give you one-on-one specialised treatment. As a home health care company, we want to provide a full range of services to help you stay healthy at home. Physiotherapy Toronto: What is physiotherapy? Physiotherapy is a healthcare profession dedicated to working with people to maximize their ability to move and function throughout their life. Physiotherapy Toronto: What is a Physiotherapist? A physiotherapist is a university educated health professional who helps a client to restore, maintain and maximize optimal function and quality of life. When one of our physiotherapists visits you, he or she will complete an assessment that may include your health history, evaluation of pain and movement patterns, strength, joint range of motion, reflexes, sensation and cardiorespiratory status. Based on this assessment the physiotherapist establishes a diagnosis and works in partnership with you to develop individualized goals and treatment programs. Physiotherapy treatment can include therapeutic exercises, manual therapy, acupuncture, and electrical modalities such as TENS or ultrasound. A physiotherapist promotes independence. Emphasis is placed on what you can do for yourself and on education to prevent future injuries or disability. Physiotherapy plays an important role in managing arthritis. It can help you to maintain independence through improving your mobility, strength and flexibility. Physiotherapy used along with medication can also help to minimise pain. Physiotherapists can devise simple exercise programmes that you can practise at home to reduce pain and increase mobility. A physiotherapist can teach you how to improve joint movement and walking, as well as how to strengthen your muscles. Physiotherapy can help seniors recover from the side effects of certain cancer treatments. Physiotherapy can be beneficial for common side effects of cancer treatment such as fatigue, weakness of the trunk, leg and arm muscles, which can make it difficult to walk, climb stairs, or reach overhead. Physiotherapy falls-prevention programs reduce both the risk and rate of falls and fall-related morbidity. Falls prevention programmes improve health and well-being and decrease costs to the health care system. Physiotherapists prescribe specific exercises, activities and interventions, and provide advice on managing risks to seniors in their home and when out and about. Progressive resistance training, gait, balance, co-ordination and functional tasks exercises are appropriate for a frail population, and are most effective in improving muscle strength and balance in the frail elderly. There are several things that can be done to treat urinary incontinence in both men and women. Your physiotherapist can teach you to delay early bladder contraction by certain behavioural modifications. You can prevent “accidents” by strengthening your pelvic floor muscles through specific exercises taught in physiotherapy sessions. how to adjust your environment to protect your bone health. A physiotherapist may prescribe exercises challenging a patient with Parkinson’s disease to change tempo, activity, or direction (what is referred to as “random practice” exercise). It is also important to keep variety in exercise activities, because individuals with Parkinson’s disease often have difficulty in shifting from one activity to another or in performing two activities at the same time. Exercises that require balance and preparatory adjustment of the body are also important along with rhythmic activities such as dancing, skipping and cycling that may help maintain the ability to perform reciprocal movements. Physiotherapy will help older seniors stay healthy and physically active for a longer duration. It may be the secret to rebuilding and keeping up an extreme level of bodily functions so that older men and women can live and sustain a completely independent lifestyle at home. The benefits of physiotherapy for the elderly include restoring, maintaining, or improving physical activity, movement, and balance. Research indicates that the ability to maintain physical function also improves overall health by enhancing psychological and social well-being. The longer individuals maintain a physically active lifestyle, the longer they enjoy a healthy life of independence. Physiotherapy for the elderly generally includes physical exercises that improve or increase coordination, flexibility, endurance, strength, and range of motion. Elderly clients receive instruction that ensures proper execution of exercises and recommendations as to how often and how many repetitions each movement requires. Our physiotherapists are accredited and members of the Ontario College of Physiotherapy.